Learning a few keyboard shortcuts and navigation tricks is one of the best ways to improve your productivity. Used effectively, they are a lot faster than reaching for the mouse every couple of seconds. Shortcuts are especially useful when you’re surfing the web. Traditionally, browsing web pages and navigating through tabs is very mouse-intensive. But it doesn’t have to be that way. In this article, we’re going to look at several browser shortcuts that everyone should know. Best of all, the shortcuts are browser agnostic. It doesn’t matter if you use one of the best mainstream browsers The Best Web Browsers for Windows The Best Web Browsers for Windows What is your default web browser? Even though we're spoiled for choice, the majority of us stick to the tried and tested major players. What are better alternatives for resource use, speed, and security? Read More , or a browser focused on privacy 4 Anonymous Web Browsers That Are Completely Private 4 Anonymous Web Browsers That Are Completely Private Surfing the web anonymously is one way to protect your online privacy. 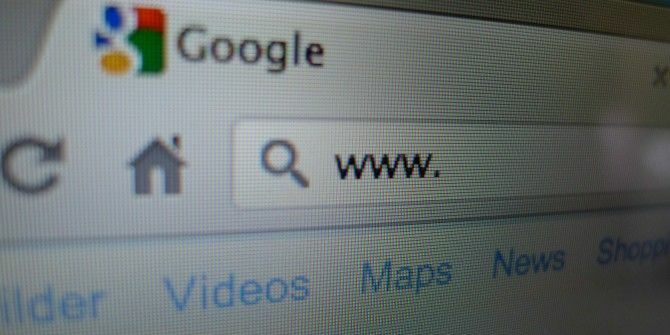 Here are the best anonymous web browsers to use. Read More or even an open-source browser The 10 Best Open-Source Web Browsers The 10 Best Open-Source Web Browsers Which web browser should you use if you're worried about privacy and want to avoid proprietary software? Here are some of the best options available to you. Read More —they will still work! Ctrl + 1 (through 8): Jump to the associated tab. Ctrl + 9: Jump to the last tab. Ctrl + T: Open a new tab. Ctrl + W: Close a tab. Ctrl + Shift + W: Close all tabs. Ctrl + Tab: Cycle through open tabs. Ctrl + Shift + T: Reopen the last tab you closed. Alt + Left Arrow: Return to the previous page. Alt + Right Arrow: Go to the next page. Ctrl + K: Place cursor in the address bar. Ctrl + R or F5: Reload the current page. Home: Jump to the top of a page. End: Jump to the end of a page. Space or Page Down: Scroll down the page. Shift + Space or Page Up: Scroll up the page. Ctrl + D: Save current page as a bookmark. If you’d like to learn more about keyboard shortcuts, we’ve got you covered. We’ve introduced you to the best Chromebook shortcuts The 9 Most Powerful Chromebook Shortcuts for You to Learn The 9 Most Powerful Chromebook Shortcuts for You to Learn For those of you who are just starting to love your Chromebook, it's time to learn how to get super-productive with your Google OS device. Read More , the best Windows shortcuts The Best Keyboard Shortcuts in Default Windows Programs The Best Keyboard Shortcuts in Default Windows Programs Keyboard shortcuts increase your productivity in any application, including the good old programs built into Windows! We show you how to cut a corner in Microsoft Paint, Calculator, and the Windows Magnifier. Read More , the best Mac shortcuts The Most Useful Mac Keyboard Shortcuts to Know The Most Useful Mac Keyboard Shortcuts to Know A printable cheat sheet containing the most useful Mac keyboard shortcuts you'll ever need. Read More , and more. Explore more about: Browsing Tips, Keyboard Shortcuts. You should do one on mobile browser shortcuts. I just learned that you could pull down on the url bar in chrome to view your tabs.